Hello Mums, Dads and Kids, I love working with children, have been babysitting since I was 13 & worked at Gymboree for several years. I am looking for part time work nannying/babysitting whilst pursuing my postgraduate law degree. I am an expert story reader, enjoy a good sing-a-long session, arts & crafts or a trip to the park/beach. I am here to help in any way I can! I have been babysitting since I was 13years old. 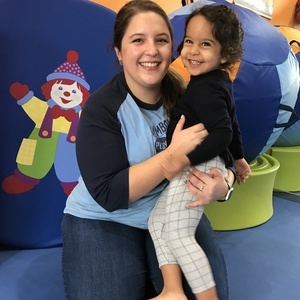 I have also worked at Gymboree Play & Learn overseas for a few years. I lead mommy & me classes (0-2) as well as drop off toddler program (age 2-3), GymboSkills (age 3-5) and Summer Camp (age 6-10). I don’t have any formal training but I am a postgraduate law student & I always helped my younger siblings with their homework when needed.